If you steal things, they will last until they are used up. If you steal money, it will last until you spend it all. If you steal power, one day you will lose it. If you steal fame, one day it will fade. If you steal people, they will last until someone else steals their hearts. If you steal knowledge, it will be with you until your last breath. We are too busy trying to steal things that we cannot keep, and forgetting about knowledge. 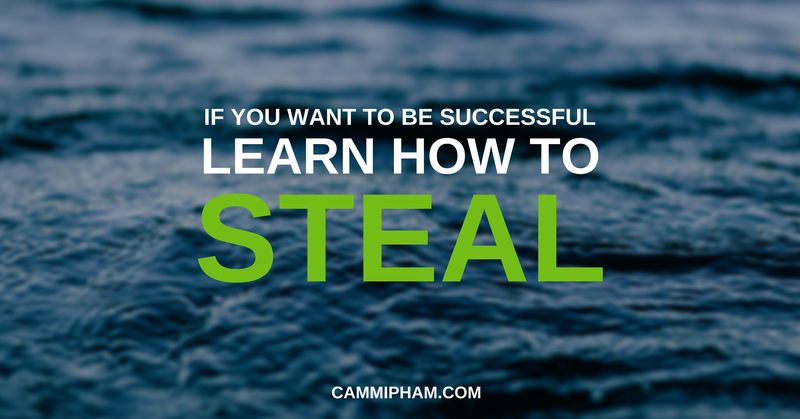 Instead of trying to steal someone’s success, learn how they built it. Steal their knowledge and build your own. If you didn’t build something, it is never yours. Instead of being jealous ➡ Ask people how they did it. Instead of killing yourself for doing something wrong ➡ Ask people what you did wrong and fix it. Instead of talking about yourself ➡ Ask people questions about their lives, their success. Instead of complaining about wasting time waiting for something ➡ Open an ebook app and read. Instead of stealing the wrong thing ➡ Steal knowledge. Wealth, power, fame will fade; only knowledge will remain with you. Most people are willing to share it, why don’t steal something that people do not mind. It is your turn: Have you ever stolen knowledge?